Station Hollywood: Happy birthday to Mr Perfectionist Star Amir Khan. Happy birthday to Mr Perfectionist Star Amir Khan. Happy birthday to Mr. Perfectionist Star Amir Khan. The viewers of bollywood films wish happy birthday to Mr. Perfectionist and Committed Star Amir Khan on 14th of March, 2018. He has proved himself as one of the most committed actors of modern bollywood films. He also carried on the legacy of Tragedy King Dilip Kumar of acting in less number of films and meaningful films. In 2012, the viewers are eagerly waiting for his new film Talaash. These days whenever Amir Khan’s films are released they end up being blockbusters. He started his career with the hit film Qayamat Se Qayamat Tak in 1988 opposite Juhi Chawla. His film had brought back the era of romantic films, after bollywood was loaded with action films for more than 20 years. The music of Qayamat Se Qayamat Tak composed by Anand Milind and majority of songs sung by Udit Narayan and Alka Yagnik created history. The popular songs included “aye mere humsafar”, “papa kehte hai”, etc. The film did excellent business and Amir Khan became a star at the early part of his career. From that time onwards Amir Khan acted in many romantic films like Hum Hai Rahi Pyar Ke, opposite Juhi Chawla, Ishq opposite Juhi Chawla, Dil opposite Madhuri Dixit, Mann opposite Manisha Koirala. Being a relative of Nasir Hussain, Amir Khan showed his acting skills from the beginning of his career. He gave able lips in most of the songs of Udit Narayan and with passage of time showed his versatility in different types of films. He did extremely well in Ashutosh Gowarikar’s film Lagaan. Lagaan was based on the story of Indian farmers entering into a challenge with the British Govt. during the colonial rule. A cricket match was held between the British team and the Indian peasants. The condition was that if the Indians won it, the farmers would be excused of the share of produce that they supposed to give the landlords and the British Govt. of such. Amir Khan gave training to the rural Indians and ultimately won the match amidst odds. 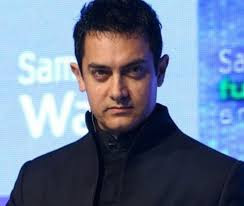 Amir Khan was sublime in his performance in patriotic film based on the life Mangal Pandey and he did an excellent job in the film Sarfarosh. Even as a director he showed innovative vision by making a film on the subject related to children. The film Taren Zameen Par showed that every child in the world is special. They have their innovative qualities. The job of the teachers and the academicians should be to unearth their skills The songs in the film composed by Shankar Ehsaan Loy were also sensational. Even in 2008, Amir Khan’s film Ghajini was remarkable in nature. He played the role of a person who lost his memory every 20 minutes. He took revenge against the murder of his girlfriend, but he did it with his limitation in respect of the lost memory. He had played probably the role of his career. He came out with even greater hit film in 2009, The 3 idiots. The film had done more than 200 crores business till now. Even more than that the film directed by Raj Kumar Hirani, had a serious social message to give. The message is that the parents should not overburden the students with their own choices. Students should be allowed to specialize in the line they love and enjoy. Although filmfare awards had not been fare to Amir Khan, it does not matter for Amir Khan at all. He is the actor of the refined section of audience and will remain there for periods to come. In 2010, his venture Peepli Live had been ably appreciated by the critics and the audience as a whole. In 2011, his film Dhobi Ghaat did well in most part of India. He had acted well in the film. He also requested hall owners not to give break in the film, because it takes away the concentration in the film. Talash released in 2012 showed the intensity with which Amir Khan played the role of investigating officer who lost his own son who drowned in water. Amir Khan’s Dhoom 3 released in 2013 did business of more than 280 crores. In 2014 his film PK destroyed all records and did business of more than 330 crores. Raj Kumar Hirani directed the film, and Aamir Khan did a brilliant job in the film. He is a very cultured actor and the viewers have lot of hope on the thoughtful personality for innovative ventures in the years to come.